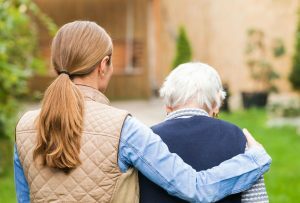 There are times in life that caregivers may need a "break" from their caregiver responsibilities for a short period of time. When the situation arises, the professionals at Maplewood of Sauk Prairie in Sauk City, Wisconsin are prepared to help you in this process. Our respite care services allow us to take care of your loved one in the way you expect, for a specific duration of time. This allows you to take some time off to "de-stress", unwind, take a trip, complete a project...whatever it is that you need to do. Should you want to learn more about our respite care program, call us today at 608-643-3383.